This beautiful home with lots of character features a split floor plan & ample kitchen space perfect for entertaining. Newly installed wood flooring is found throughout and the back yard is ideal for large family gatherings. Property has a brand new roof, high impact windows and doors. Brand new stainless steel appliances will be installed. 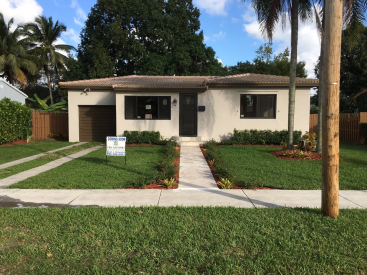 This spacious 3 bedroom 2 bath home is located in the charming & highly desirable city of Miami Springs. Hurry, as your future home will not last! For inquiries, please call agent at 786-306-2561.